This is a round Crescent Portland Cement Company porcelain sign. This particular Crescent Portland Cement Company sign is predominantly brown with white text. 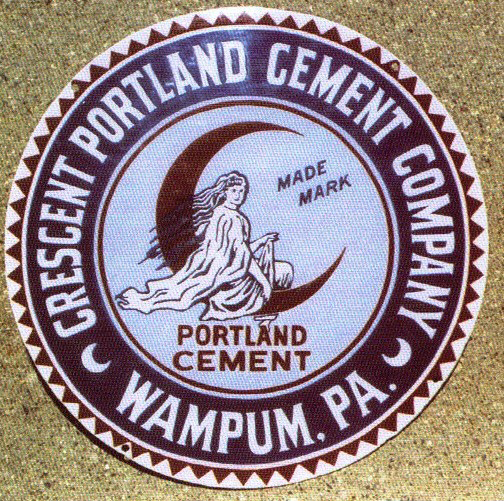 It reads, “Crescent Portland Cement Company, Wampum, PA, Portland Cement, Made Mark” and features a light blue center with a young woman sitting on a crescent moon.